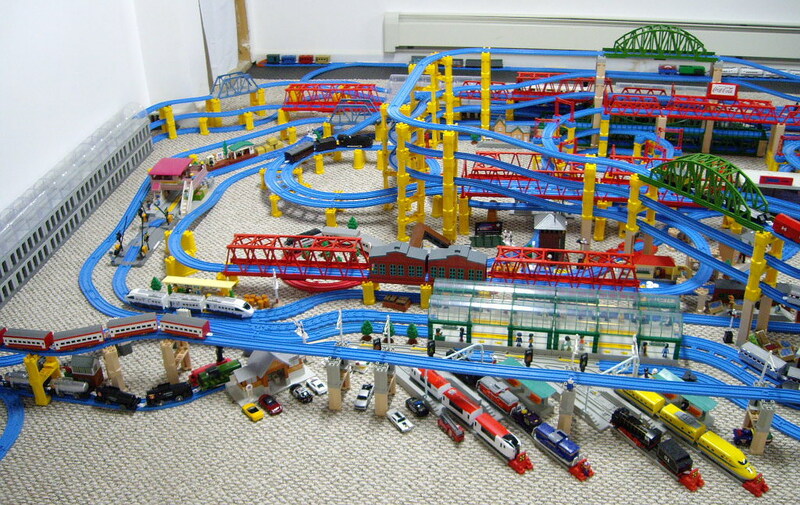 Here you will find what Super & his Grandson have been working on. 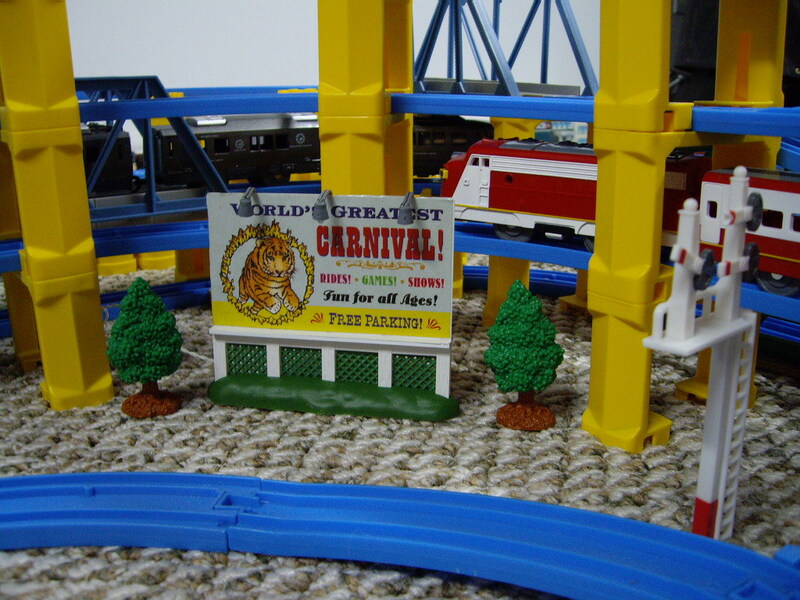 New & interesting items added to our large layout & what some future plans we have our sites on, no matter how far fetched they seem to us. We would really like your feedback, comments and suggestions. In fact we encourage it. These pictures were Posted on the previous site but only lasted a day before the Forum was shut down. 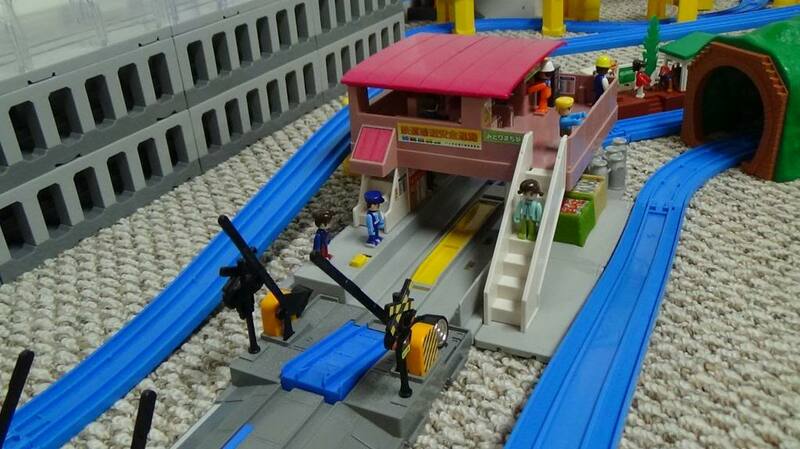 We have added more interesting items since those pictured here but I thought we would show what was added to our layout over the Holidays first. Any comments or questions are welcomed. 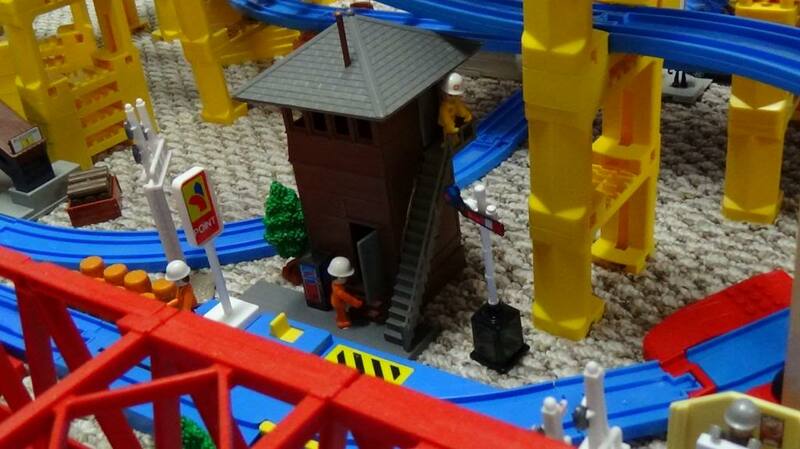 First up is this Santa Fe Yard, Control Tower. We really like this and have the needed parts to update the 12volt control room light with a 9volt LED. 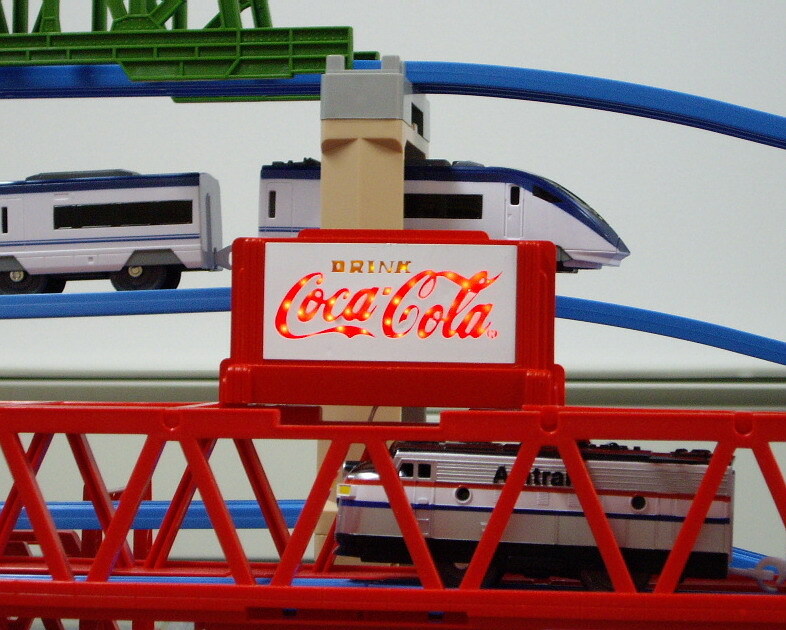 Next we have added a nice Switch House with a Pepsi Vending Machine for the railroad workers on those hot summer days. 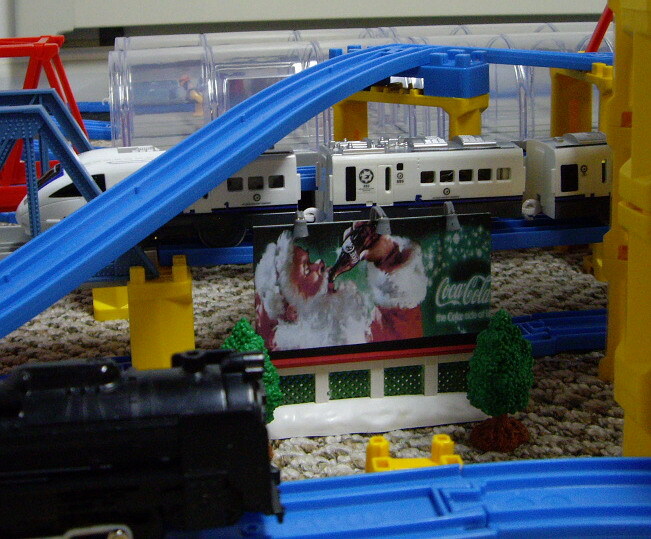 I use Rubber Cement to glue down the Tomica Town People so they don't fall over. I like the Rubber Cement because its not permanent and the glue just rolls off if I want to move the people. Here we have the Bedford Water Tower. 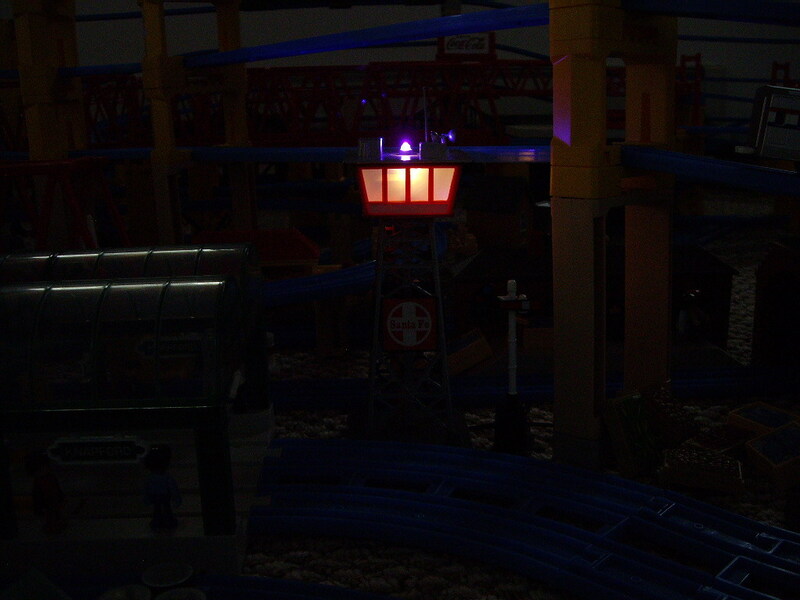 Like the Santa Fe Yard Tower we have the parts to replace the dull blinking top light with a flashing 9volt red LED. 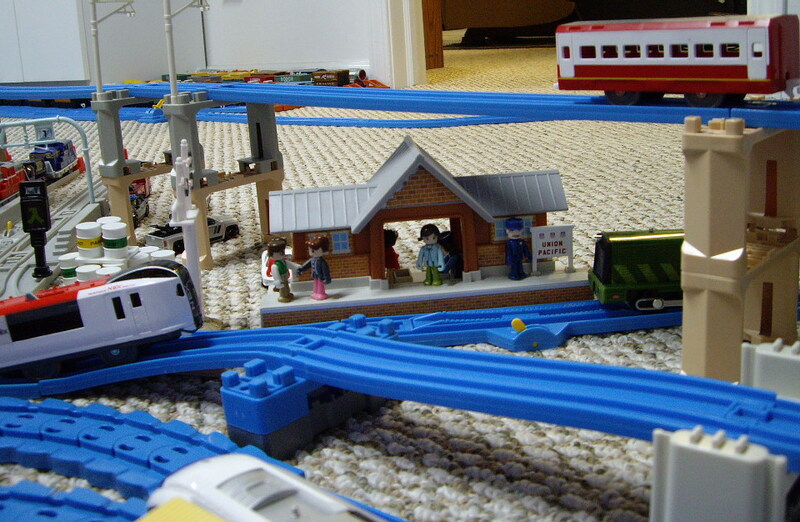 We had to add a Station Fast Food Restaurant so all the village people and workers have a healthy place to eat. We may get some Name brand Decals to add and make it a Burger King, MacDonalds or KFC maybe. 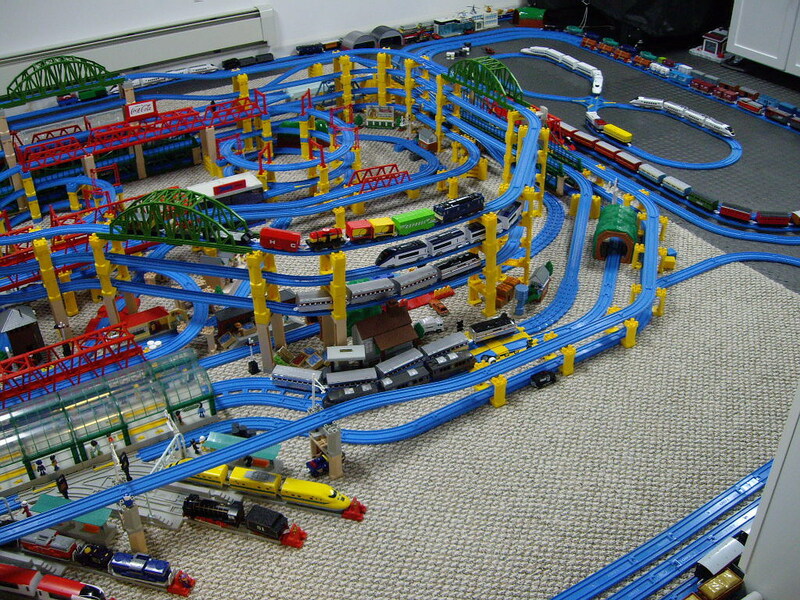 And lastly we added this 4 track Train Yard that we like to park some of our idle engines. 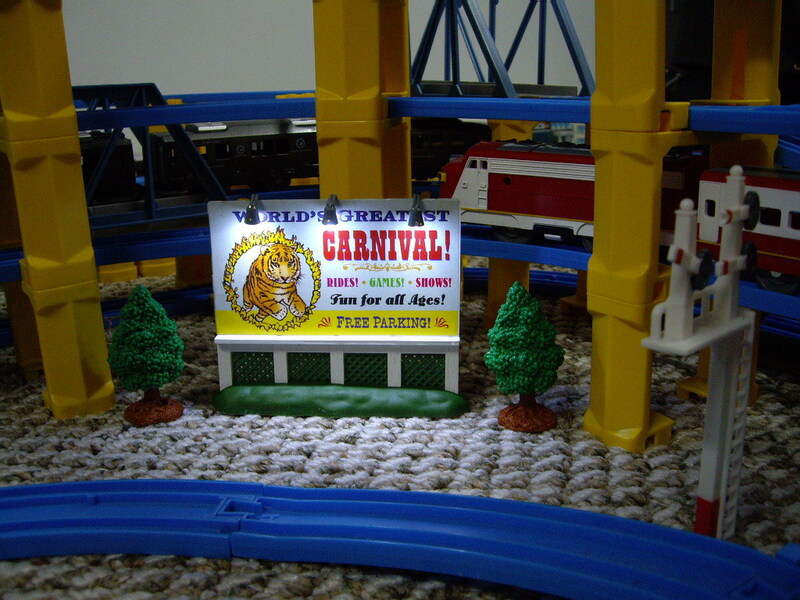 2 Station platforms work perfectly with these yard pieces. It's better to use a 3rd party hosting site to post photos. Who doesn't like a Carnival? 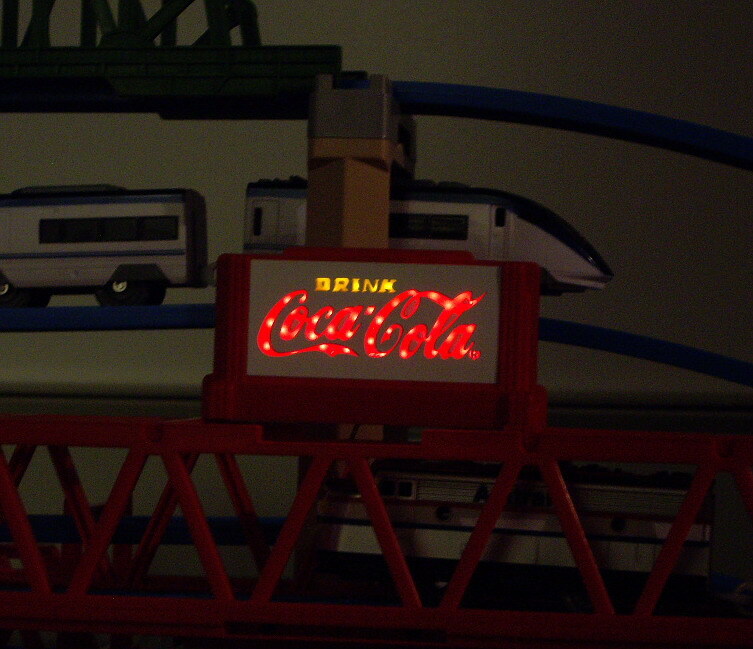 What you can't tell in a picture is the Red Coca Cola part of this sign flashes. I will get a shot of it when making a video. These look Great Super. 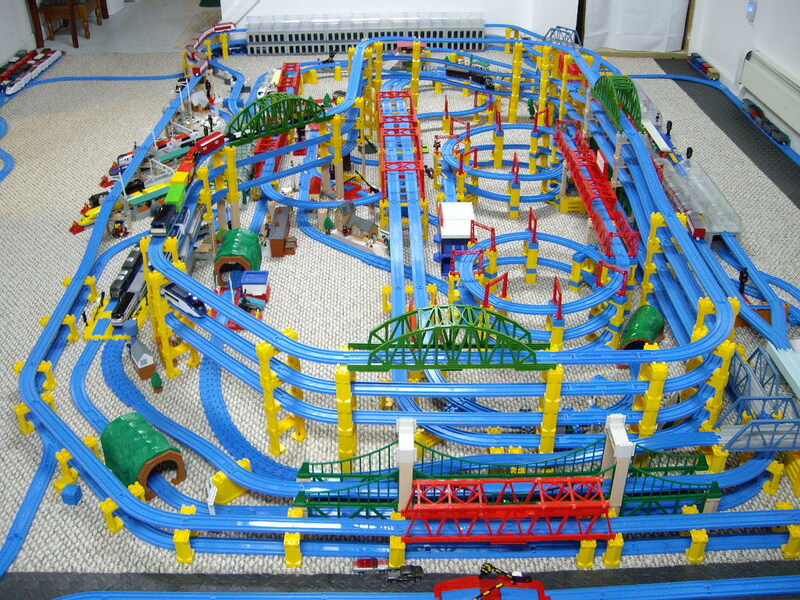 Do you have a video or more photos showing the full layout. Glad to see you have found your way from the old site. I am quite familiar with your videos. In fact it was your video on the D51 200 Sound & Steam set that convinced me to search out one for our own. It is one of our favorites. 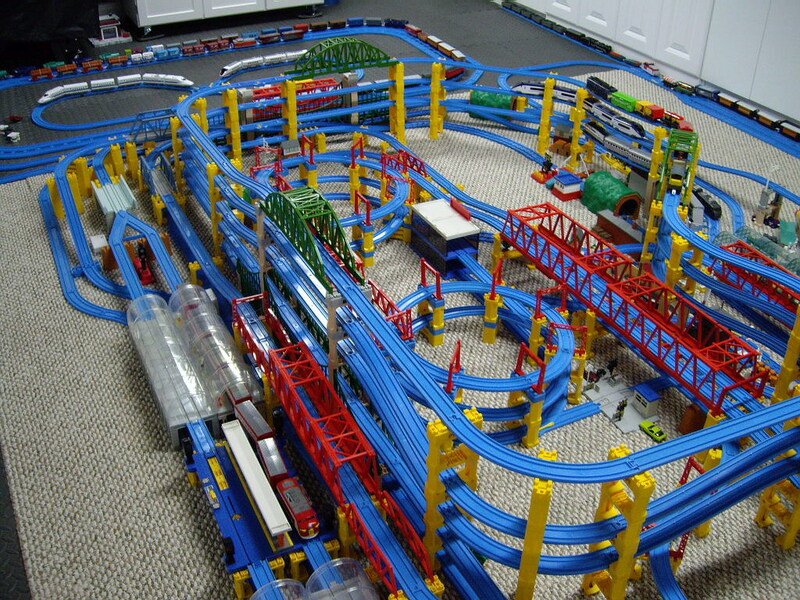 Love the Trackmaster Tomy Plarail Drag Races & your comparison of the Tomy Plarail vs Plarail Advance Trains convinced me not to go the Advanced way. I also liked your detailed rebuild of Talking Percy . Sure wish my pin point soldering gun worked that quickly. Which model is it and what type solder do you use. I bought a new camcorder to make some videos as the videos taken from my photo camera aren't very good so stay tuned for some of those. Never made a video of anything before so it should be fun. 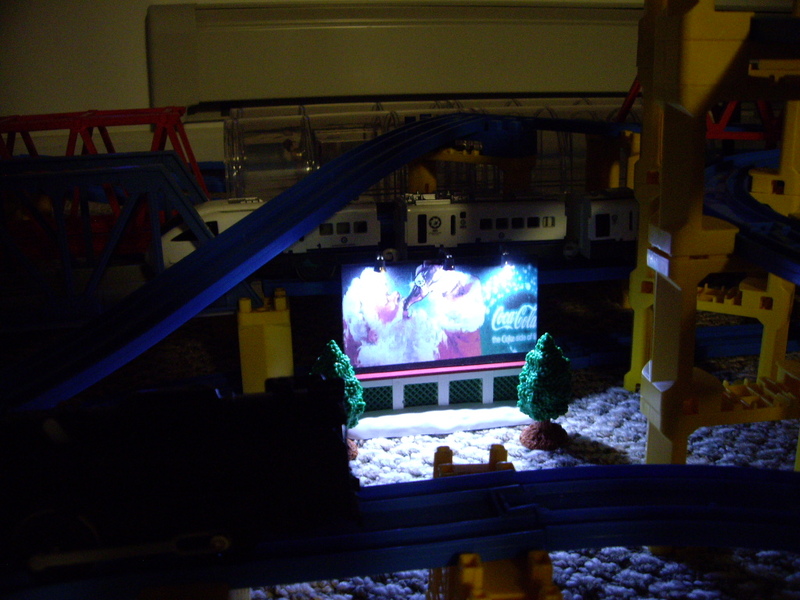 I will get some new photos posted of the layout shortly. 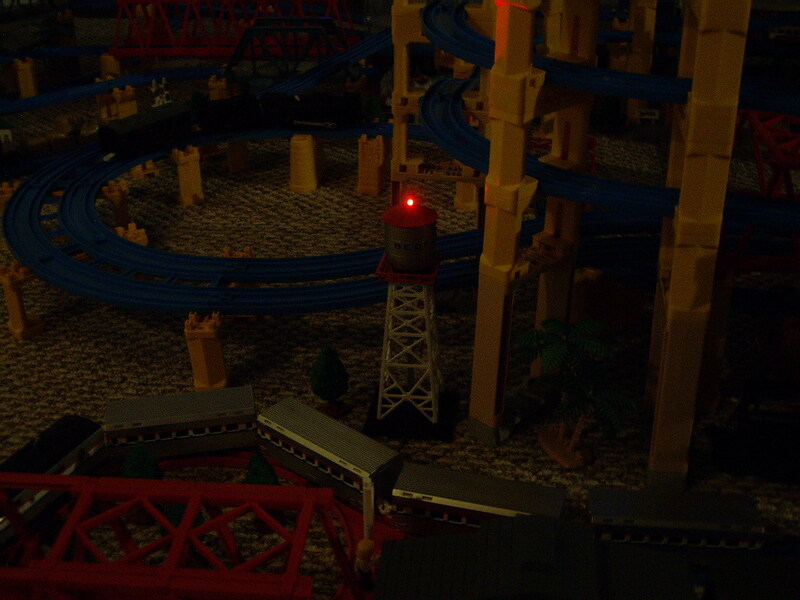 Finally finished the Santa Fe, Yard Control Tower lights. The beacon on the roof alternately flashes red and blue like a Police car. 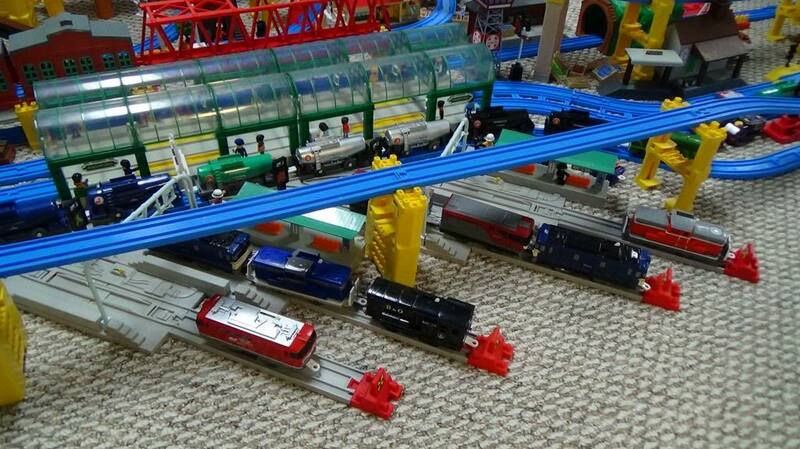 In the following 2 pictures we have a very hard to find, Thomas/Tomy/Trackmaster type Station. 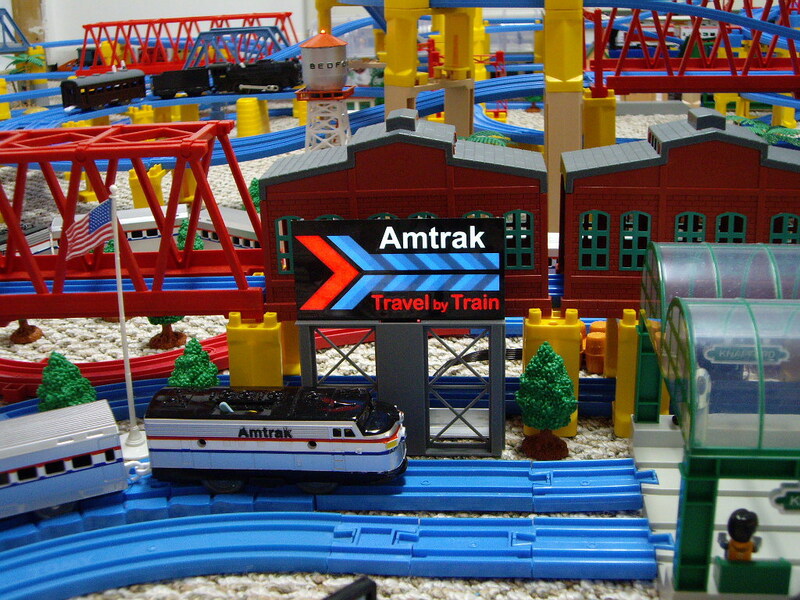 The Station has been converted with decals to make it a Union Pacific Station. 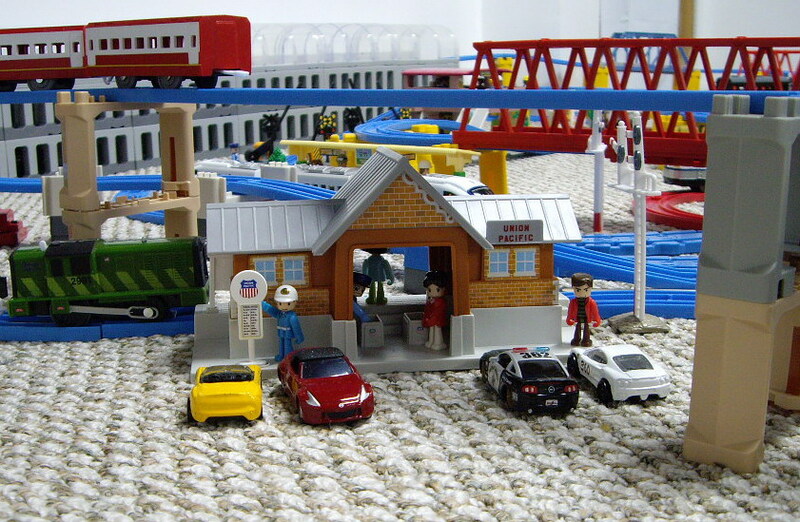 Looks to be pretty busy and they must serve donuts in the cafeteria as there is a Police car parked in front . I am amazed! 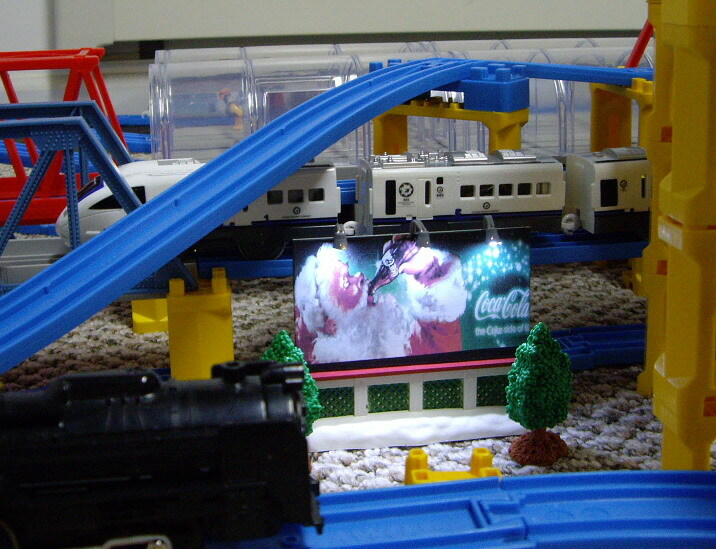 the light up billboards, the whole thing! wow Super nice work! Thanks Ucwepn, Glad you like it. Finally got around to finishing the Bedford Water Tower's flashing red LED light. You can't see the flashing in a still pictures below of course. Our next project is...Video's... Hurray. Have some ideas and I will have to do some experimentation on editing and sound so I think it should be fun It will also be fun for my Grandson as they will be uploaded to YouTube and he can direct all his friends to it and show off. 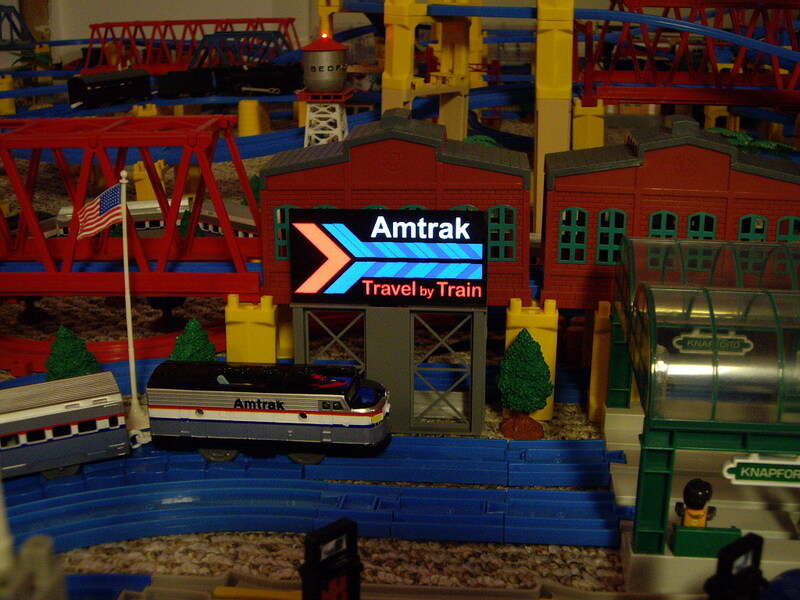 We have a new addition to the layout...an Awesome new, animated, lighted, Amtrak Billboard. We love it. You can't see the full affect in the pictures so I added a GIF at the bottom from the manufacturer so you can see one of the many chasing features on this amazing item. There is like 15 to 20 chasing patterns to scroll through. We did do some modifications though. First we obtained a small black plastic box/case and installed the little circuit board in it. With a couple of drilled holes the on/off switch and the scroll button can be accessed from the outside of box. We leave this on off switch on because the other modification was to replace the open 3 AAA battery holder with a covered 3 AA battery holder with on/off switch built in. Like the Bedford Tower we extended this to the outside of the layout for easy access. This thing is genius. The part that does the lighting is only paper thin...how does that work? What do you think? 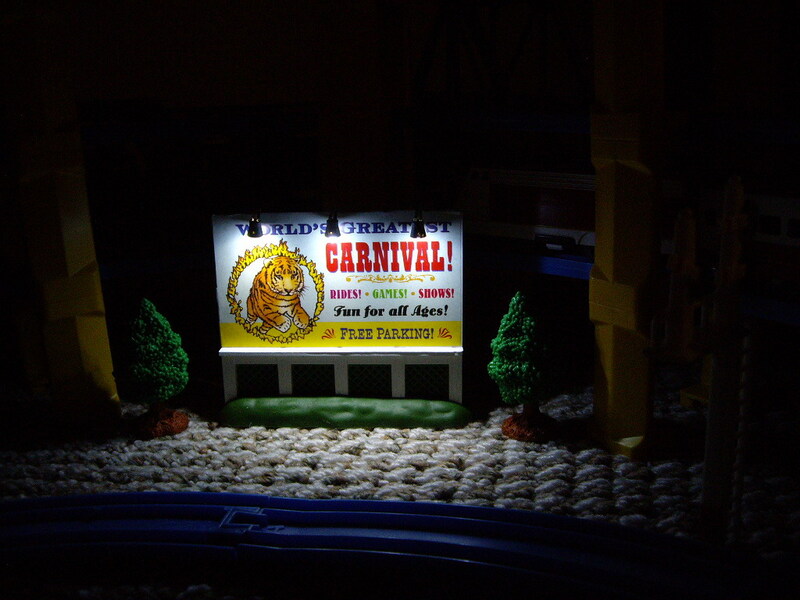 We are excited to show you the videos so you can see all the lighting affects on our layout for you to enjoy. Hopefully a video will do everything justice. 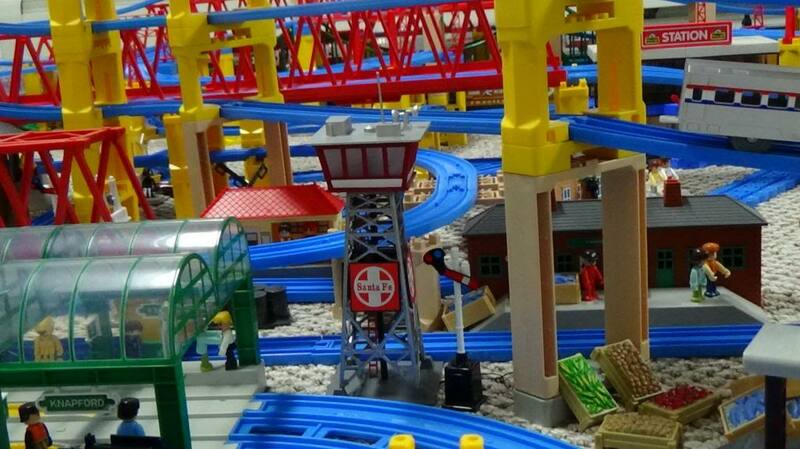 I think I like designing, adding, coming up with new ideas, implementing those ideas and engineering the layout more than actually running the trains. . My Grandson is the train engineer in our family. 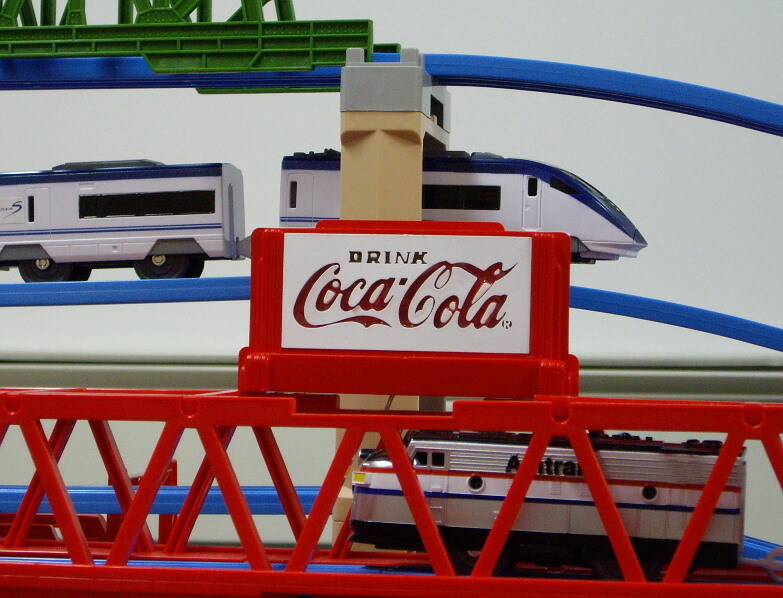 He loves creating different, long, freight trains. I think his longest is about 23 cars without incidence in our flat straight test track. My soldering iron is a cheap Weller I've had since electronics class at school. It still goes strong for a 20+ year old iron. I filed the tip into a finer point to help with smaller soldering jobs. The solder is just basic flux core fine solder I've had since my RC buggy club racing days in the early 1990's. 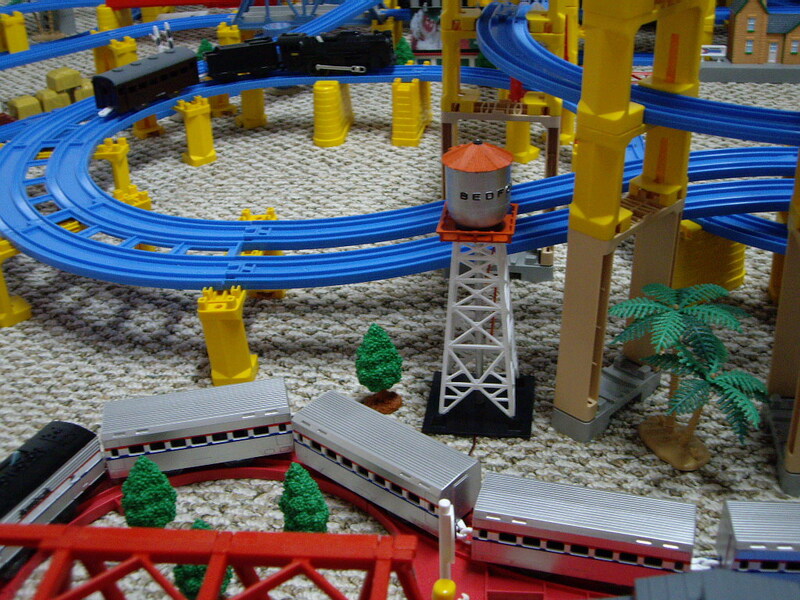 Your layout is fantastic, so much detail but still keeping with the Tomy Plastic train set concept. 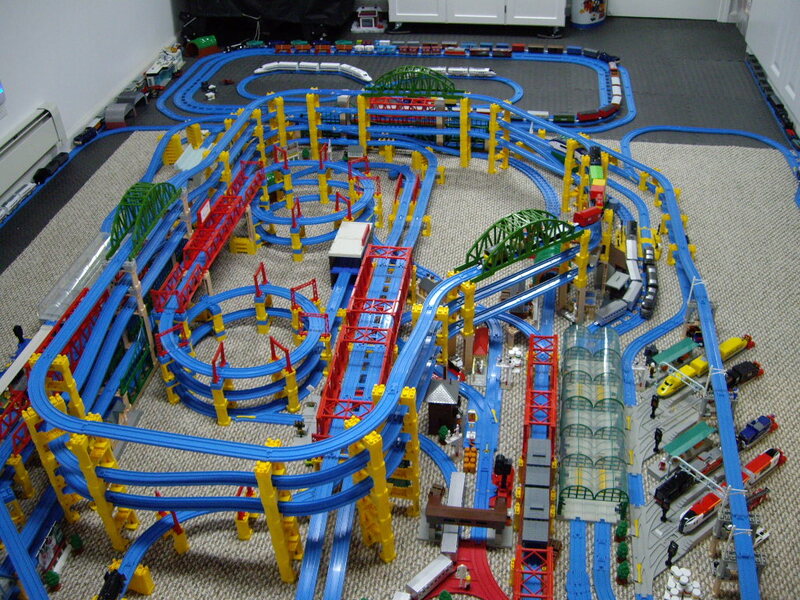 I wish I could leave a track setup and keep adding to it and building ideas into it. Current time: 04-23-2019, 10:12 PM Powered By MyBB, © 2002-2019 MyBB Group.